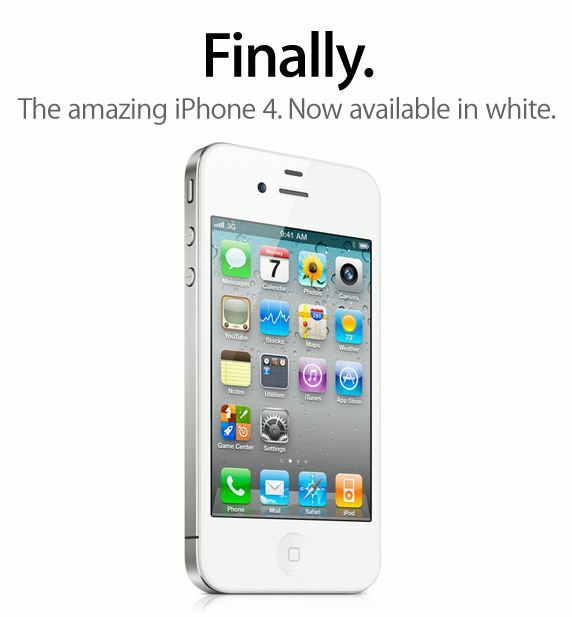 After months of delays and false starts, the iPhone 4 is now finally available in white. 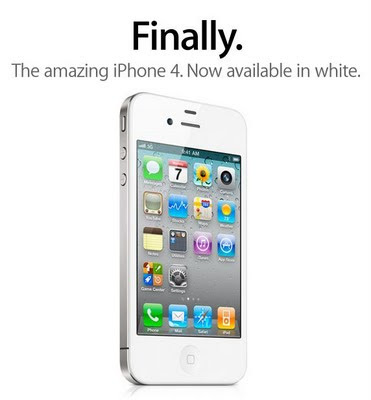 Starting today, the elusive white iPhone 4 can be purchased directly from Apple at their amazing retail stores or online at Apple.com. You can also purchase a white iPhone directly from AT&T and Verizon locations or their online stores too. The white iPhone has the same internals as the black model and the only difference between the two versions is the front and back plates and the home button. The pricing for the white iPhone 4 is the same as the black model: $199 for the 16GB version; $299 for the 32GB version. A new two year service agreement is required to get the special pricing. It's rainy out today, so skip standing in line and use one of the handy links below to order your white iPhone 4 and stay warm and dry. Phew! I'm glad that's behind us now! My guess that by this afternoon the iOS 5.0 and iPhone 5 and iPhone 6 rumors will be back in full force.